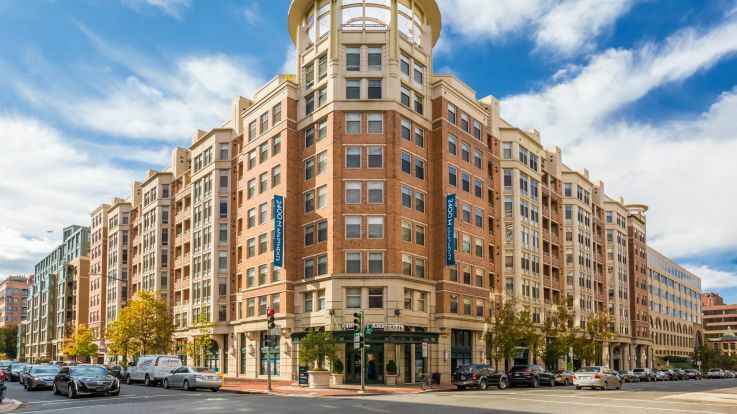 Reside in one of the oldest late 18th- 19th century Washington DC neighborhoods with Equity’s offering of Foggy Bottom apartments. Foggy Bottom serves as the perfect place for those who appreciate culture and history. One of the premier tenants of Foggy Bottom is the main campus of George Washington University, the John F. Kennedy Center for Performing Arts, and the world class exhibits of the Corcoran Gallery of Art. With Equity, our goal is to make your living experience here the best it can be. Many of our available apartments in Foggy Bottom feature spacious closet arrangements and even private balconies where you can sit back and enjoy the beautiful views of the city. Additionally, our prime locations allows for convenient access to major road-networks as well as public transportation options. Equity believes in creating the definitive urban living experience so enjoy browsing through our selection of Foggy Bottom apartments. We’re confident that you’ll find the perfect new home in no time.